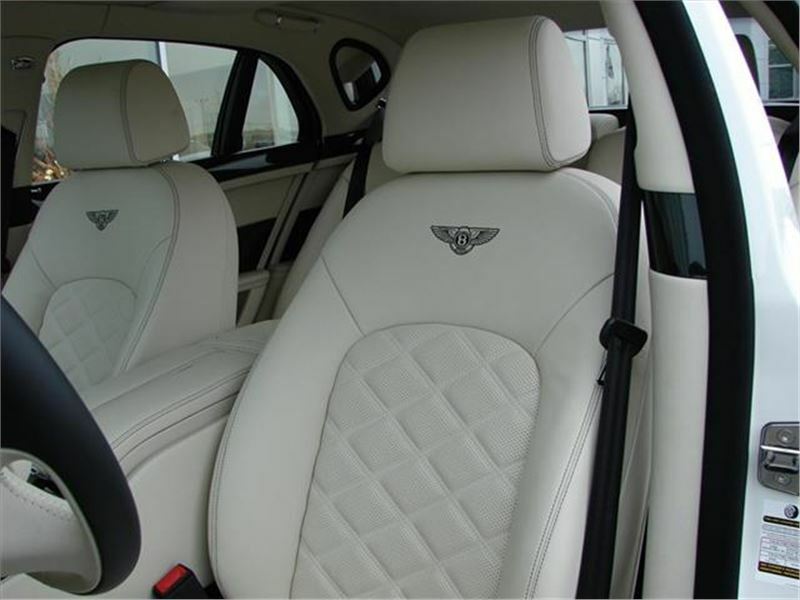 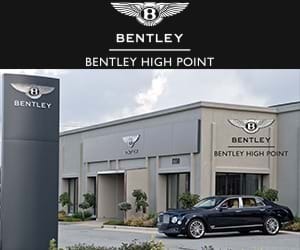 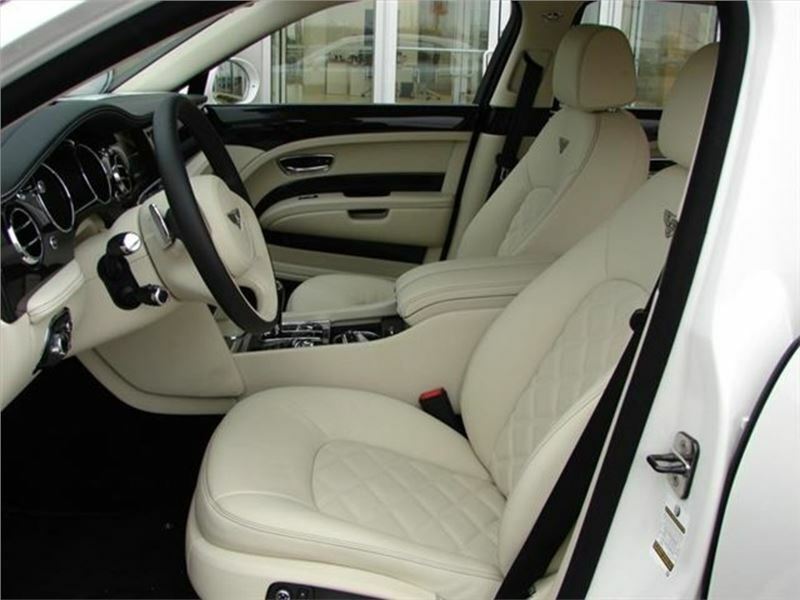 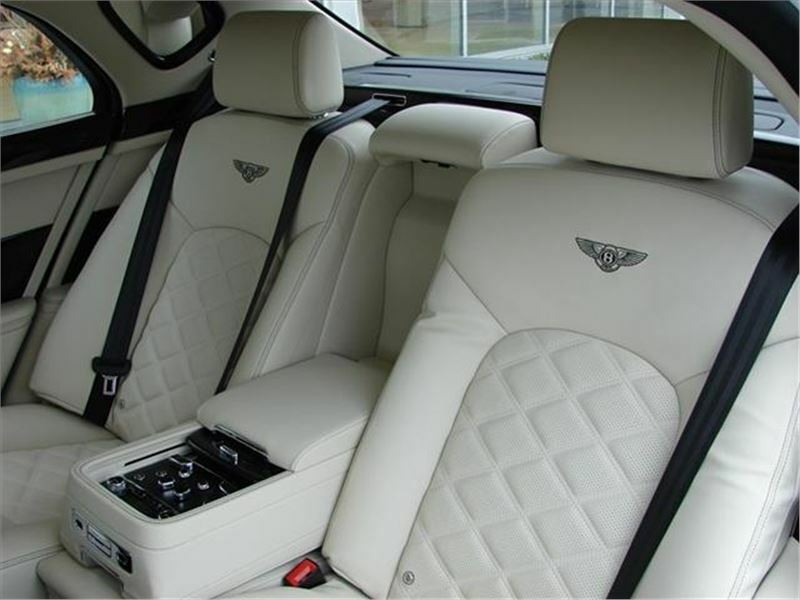 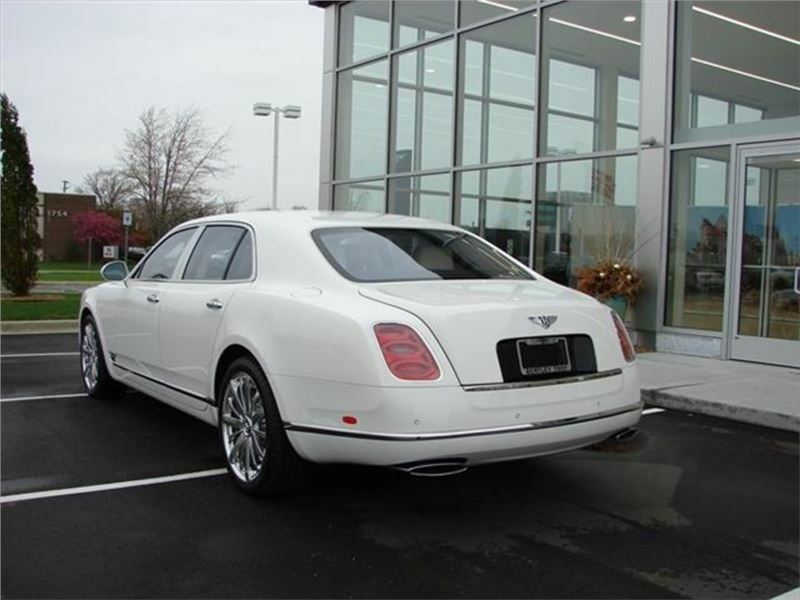 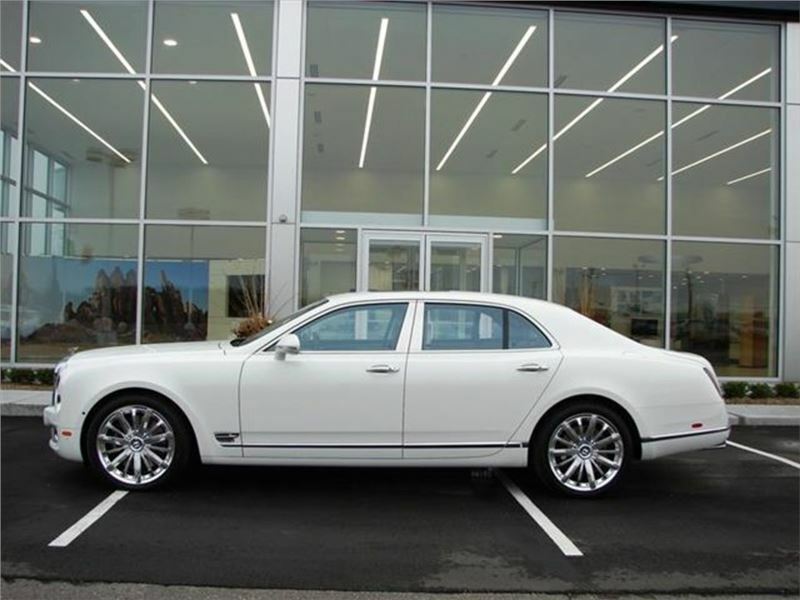 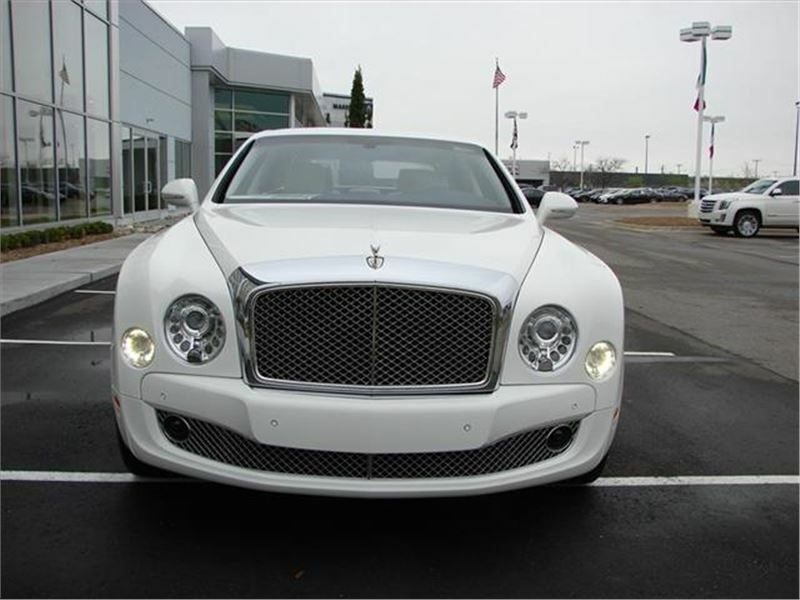 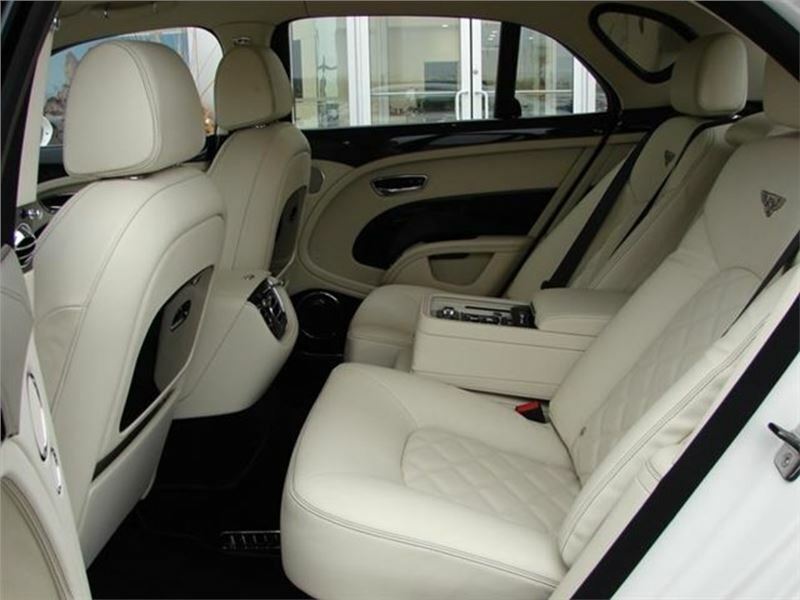 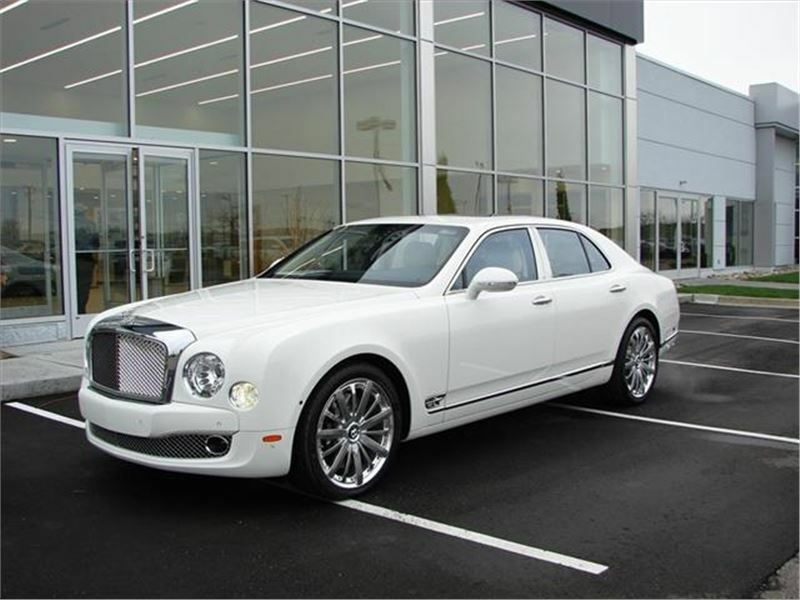 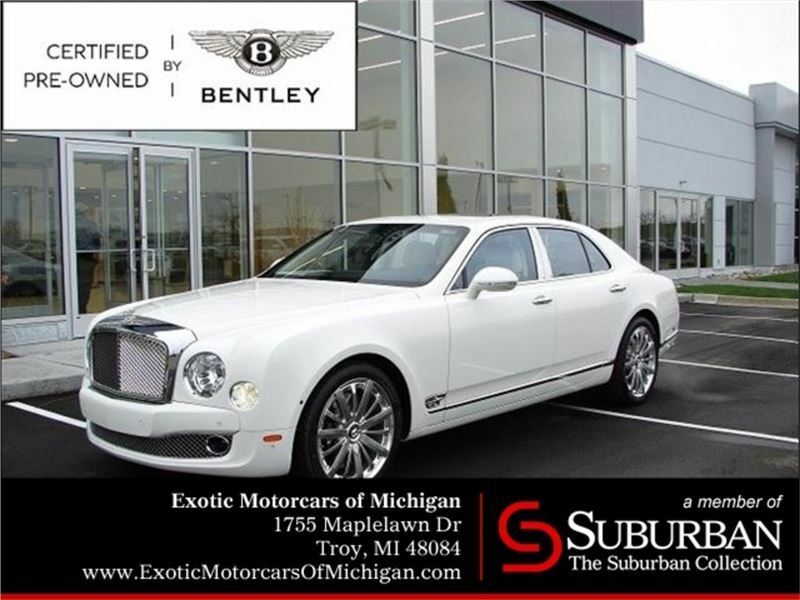 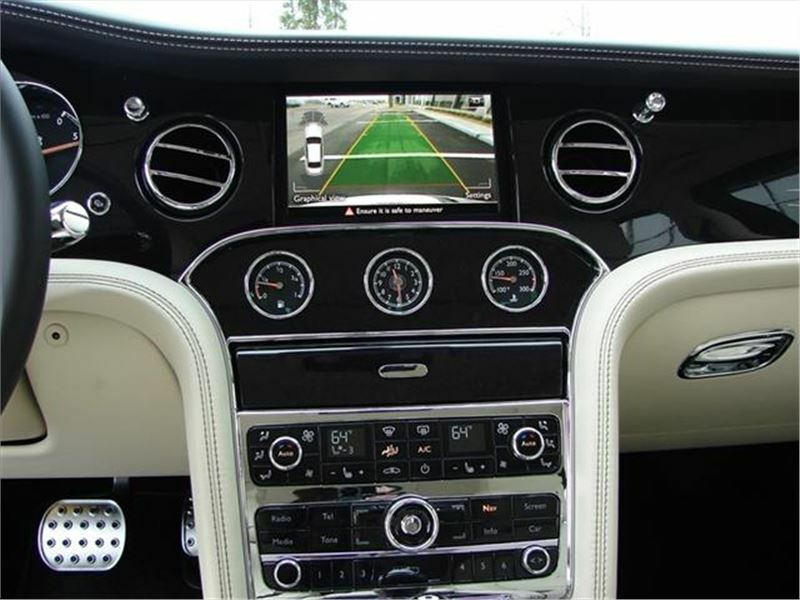 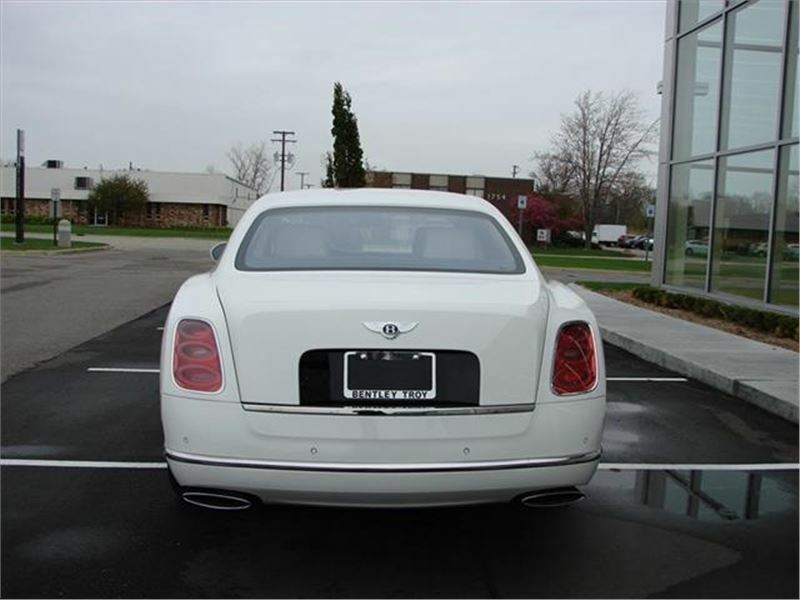 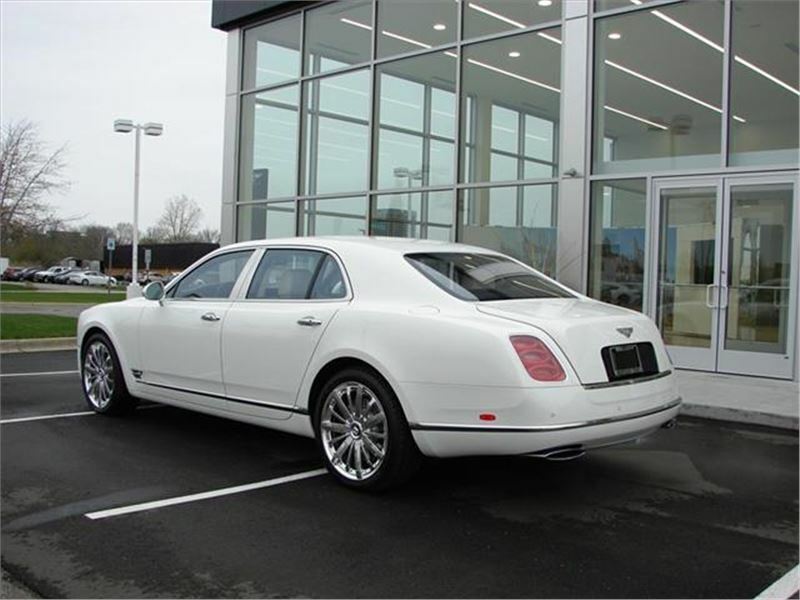 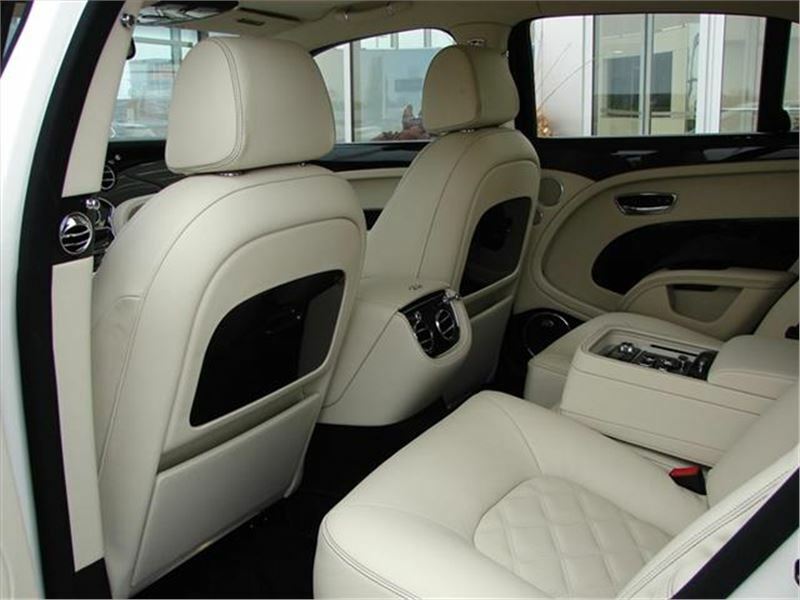 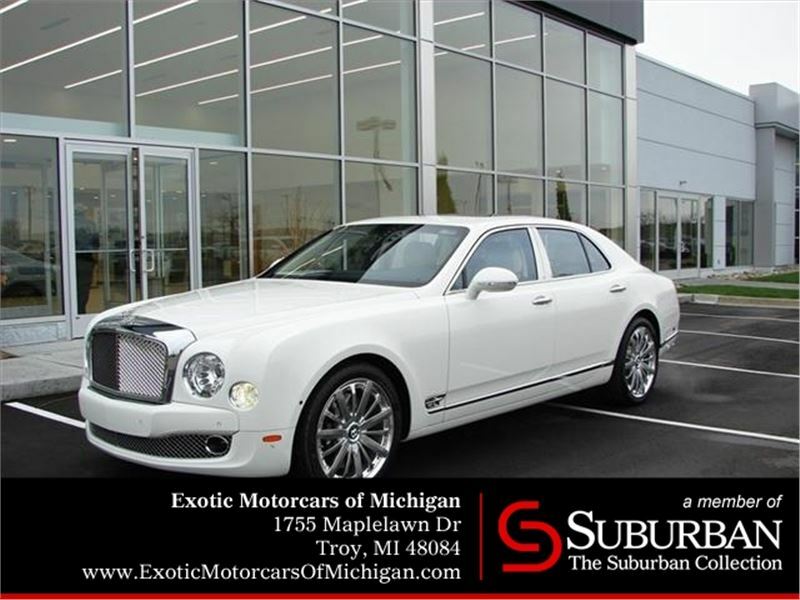 2016 Bentley Mulsanne in Glacier White with Linen interior. 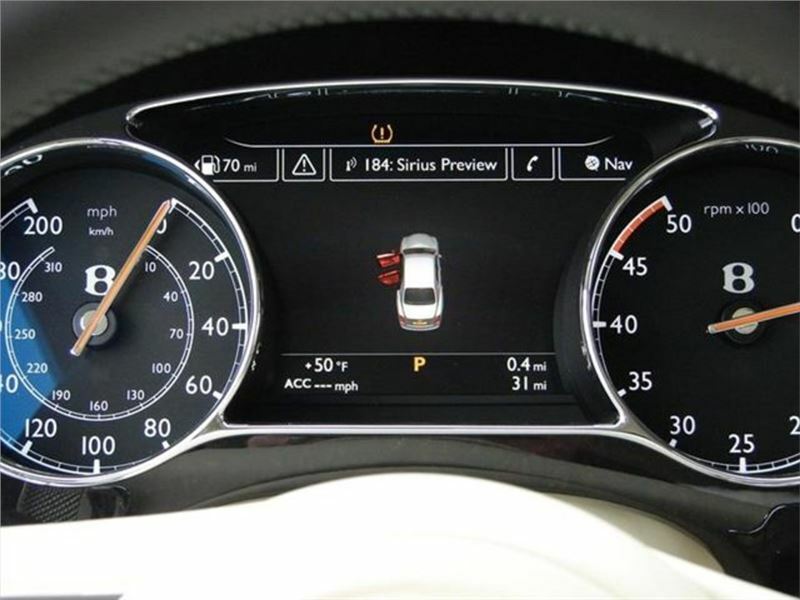 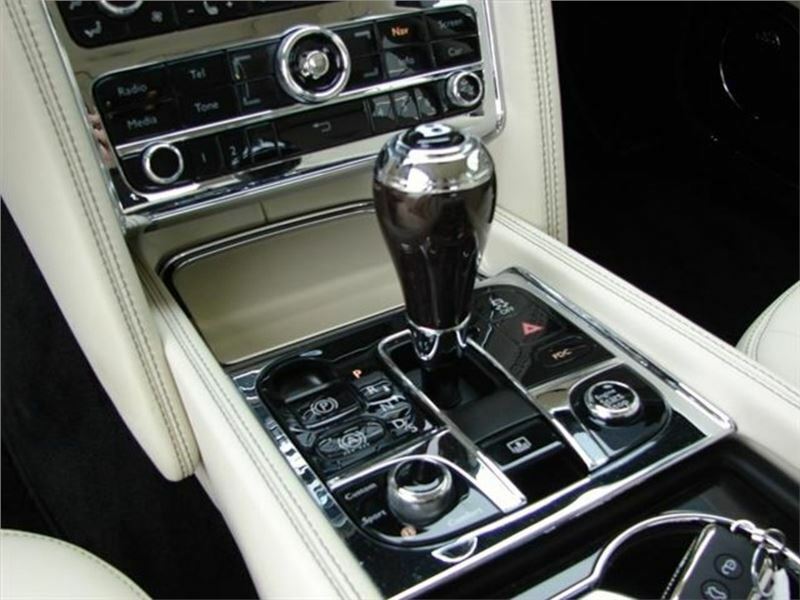 6.75 Liter Twin Turbocharged V8 Engine, 8-Speed Automatic Transmission with Electronic Shift Interface, Sport Mode and Steering-Wheel Mounted Paddleshift. 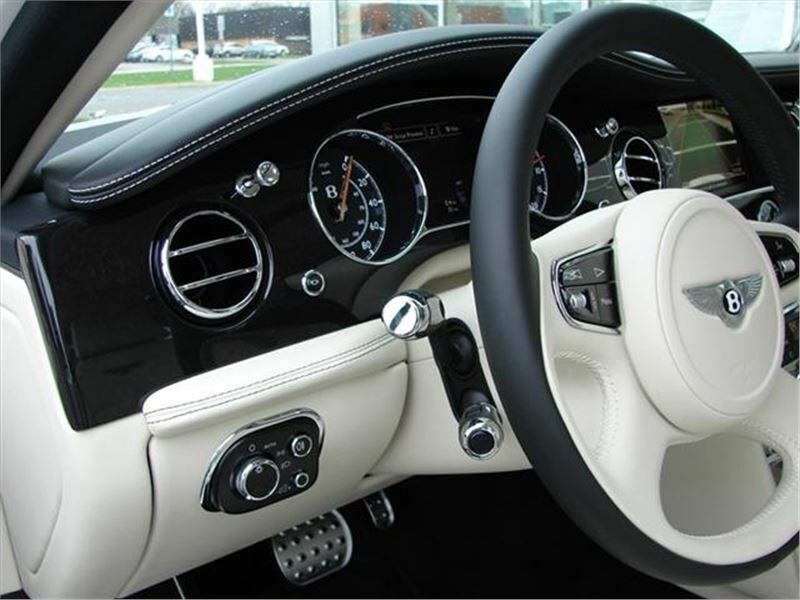 Voice Controlled Multi Media Interface, Keyless Entry and Engine Start, 14-Way Adjustable Front Seats. 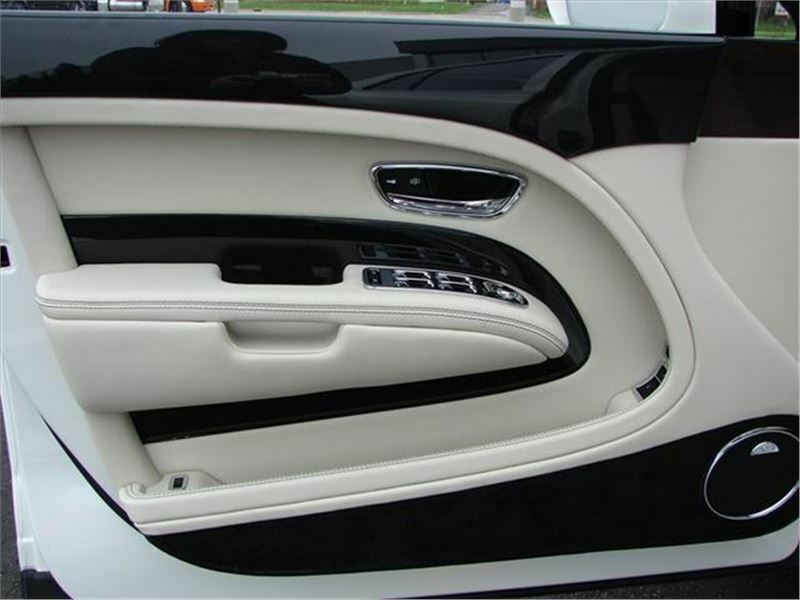 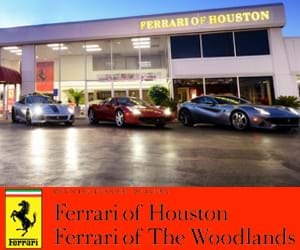 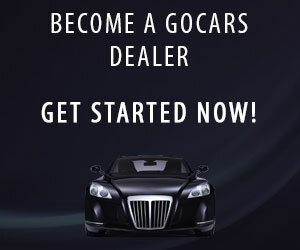 OPTIONAL Equipment includes: Four City Umbrellas / Dark Stained Vavona Veneer / Naim Premium Audio System / Contrast Stitching / Chromed Radiator Shell with Stainless Grille / Veneer Door Panels / Side View Camera / Veneered Gear Lever / Veneered Picnic Tables / Rear Quarter Vanity Mirrors with Veneer / WiFi Hotspot / Deep Pile Mats to Front and Rear / Adaptive Cruise Control / Premier Specification which includes: Ambient Interior Mood Lighting, Bright Stainless Steel Door Pillar Finisher, Bright Stainless Steel Matrix to Lower Bumper Apertures and Front Wing Vents, Flying B Radiator Mascot, Jewel Fuel Filler Cap, Rear View Camera, Remote-Controlled Garage Door Opener, Seat Ventilation and Massage Function to Front and Rear Seats, Shade Band to Tinted Windscreen, Valet Key, Veneered iPod Drawer and Minor Gauges Panel. 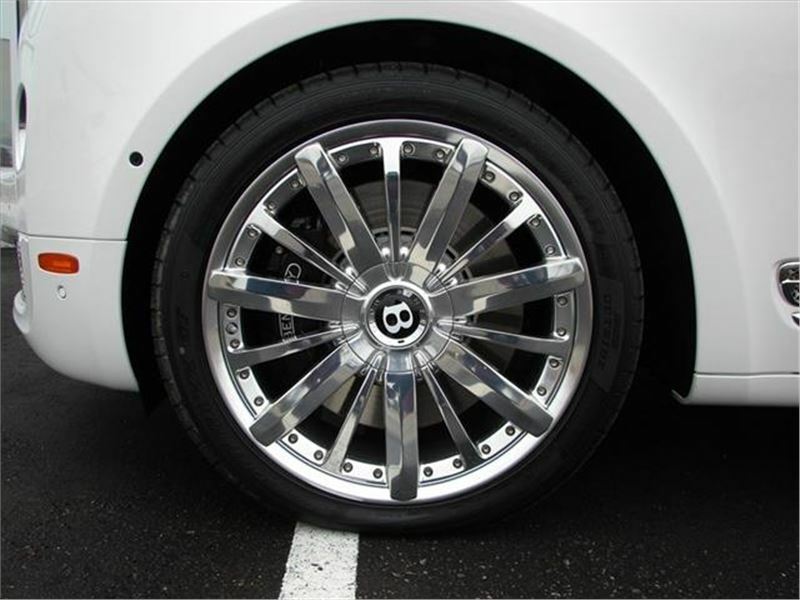 / Mulliner Driving Specification with Polished Wheel which includes: 21 Two-Piece Mulliner Alloy Wheels, Polished, Diamond Quilted Hide Seat Covering, Diamond Quilted Hide Door Panels, Indented Hide Headlining, Knurled Sports Gear Lever, Knurled Finish to Organ Stops, Drilled Alloy Sports Foot Pedals, Mulliner Flying B Style Wing Vents, Sports Tuned Suspension and Steering, Coined finish to Interior Door Handles, Commissioned by Mulliner Plaque, Embroidered Bentley Emblems.